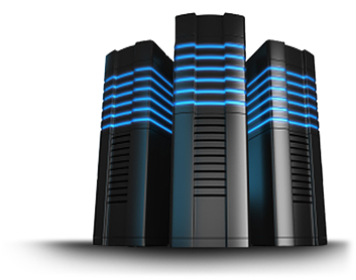 Expert customer service from battle-scarred web hosting professionals around the world. For 13 years, we've delivered customers 99.999% uptime or higher - your users deserve it! Servers are monitored from over 30 locations every 60 seconds by multiple monitoring systems (including 3rd party). Unlike most, we store hot AES256 encrypted backups (with our own keys) off-site with at least three physically segmented replicas. What can Sliqua do for me? One of the fastest and most cost-effective ways of getting a small business online. Typically, shared accounts are suitable for small to medium-sized businesses with a small web presence such as an e-commerce storefront. With the help of a Sliqua representative, new shared hosting accounts can be provisioned in a matter of hours. And the best part of all is that Sliqua has developed a process of migrating users from shared plans into any of our dedicated or clustered hosting options with little to no downtime. This means your business can prosper online and expand in the future as necessary, without the hassle of transferring hosting accounts to another company which can have a negative business impact. We take e-mail seriously. It is the lifeline of many businesses, and without it hours of productivity can be lost. Thus, we provide fault-tolerant e-mail hosting solutions designed for business. Your data is mirrored in three datacenters in the United States in real-time, for load balancing and redundancy. And off-site backups are created every night on Amazon's S3 storage service. Email accounts utilize their own quotas, and are hosted on seperate infrastructure from your Enterprise Shared Hosting accounts. Worried about attachment sizes? No worries, we allow you to send/receive attachments up to 50 MB in size. Our 100% SSD-based content delivery network empowers you to scale your website for ∞ users. Need to accelerate your website overseas? Need to stream HD video to 50,000 users simultaneously? No problem, we've got you covered. Need hourly off-site backups or a disaster recovery site for your business? Sliqua offers a wide variety of solutions for workstations and servers. We have the ability to provide hourly or daily off-site, block-level backups of your most critical data. Daily AES256 encrypted off-site backups are provided free of charge to our Enterprise Shared Hosting customers with two-week retention. Contact us for additional options to protect your data. Need more horsepower than a Shared Hosting account can provide? As a Proxmox Hosting Partner, we can offer managed infrastructure solutions (Managed VPS, Dedicated Servers, and Clusters) powered by an enterprise-grade virtualization and storage platform. The Proxmox solution has a proven track-record and provides significant cost savings compared to alternative solutions.